Nathan Jagrup over at Resume Play has offered a few suggestions as to what he would like to see in the next Legend of Zelda title for the Nintendo Wii. Listed below is a bullet point summarization of all the points mentioned in his article. 1. Voice acting and orchestrated score. 2. More varied dungeon settings. 3. More complex characters (especially enemies). 4. Sidequests that net some great gains. We have heard similar cries from many Zelda fans about several of the points listed above. His second and fourth points are most important to me and just two months ago I created a video blog discussing the dungeons in Zelda. The sidequests are something that really need to be revamped and we can clearly see the decline of useful collectibles and sidequests in the last few Zelda titles. 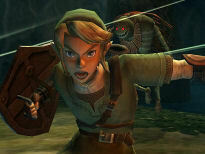 The lack of side quests and collectibles were one of the big downfalls when I look at Twilight Princess. The three major collectives were pieces of heart, golden bugs, and poe souls. The pieces of heart were fine, just as they have been in many Zelda titles before. I liked the addition of pieces of heart within dungeons and the fact that they were each worth one fifth of a heart container allowed the developers to include even more of them. Golden Bugs and Poe Souls on the other hand were quite lame and useless. After collecting 20 poe souls, Link does get a new bottle, but other than there, there is nothing of any use at all in these collectibles. The golden bugs and poe souls will give Link larger wallters and literally an endless amount of rupees. As most Zelda fans would agree, rupees in Twilight Princess were already abundant and quite useless in the later portion of the game, so what’s the point of giving us more and more of what we don’t need? Worst of all there really was very little fun in the discovery of these, but rather, they seemed much more tedious for Zelda fans that just needed to get the 100% mark. In Link’s next adventure in Phantom Hourglass on the Nintendo DS, the developers dropped the idea of pieces of heart. However, they easily made up for it with the power, courage, and wisdom gems. There were six gems all together and they offered six upgrades throughout the game that were all fun to use and experiment with. Additionally, there was also the sands of hours that Link could collect, as well as a trading sequence Link can go through. On the actual quest front, there was more of the same with Phantom Hourglass with a bunch of mini-games, with the biggest being a whole fishing quest. 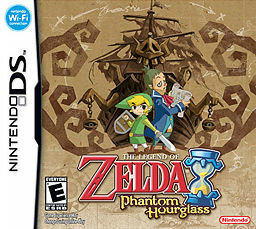 Phantom Hourglass did a decent job in my opinion and I actually enjoyed that you had to work for a lot of of the collectibles and they gave off some meaningful rewards. When it comes to Link’s latest adventure, Spirit Tracks, Nintendo really dropped the ball. Gone from Phantom Hourglass are the collectible gems, and in come… Rabbits and Stamps. Rabbits much resemble that of the mindless collection of poe souls from Twilight Princess, with perhaps an even higher level of annoyance. Stamps on the other hand were interesting, but the rewards were completely useless. You are at the very end of the game when you are able to get all the stamps and rabbits, and the primary reward that you get, is the same great spin attack and beam blade attack that we got in Phantom Hourglass. The Force Gems in Spirit Tracks were easily the best addition when it come to side quests as while a majority of the quests were quite boring, some of them did restore more tracks that led to new stations. All in all, while I did enjoy some of the things in Phantom Hourglass, Nintendo has dropped the ball when it comes to side quests for nearly a decade. For a console game it hasn’t been since Majora’s Mask that I really felt satisfied with the side quests. The mask collections, the skullutla houses, the stray fairies, and completing the bombers notebook was a heck of a lot more exciting than collecting golden bugs or rabbits. Even with the Oracle of Seasons and Oracle of Ages, the rings and their unique abilities made the games more interesting. What I want is lots of different side quests that are each unique and enjoyable, with the final rewards actually being meaningful for a change. Is there some sort of rule against this? Come on Nintendo, let’s make it happen for Zelda Wii. Let us know what you think about his list in the comments below. What do you want to see in Zelda Wii? What do you think about the direction Nintendo has gone down in the form of side quests? Check out the full article at Resume Play.